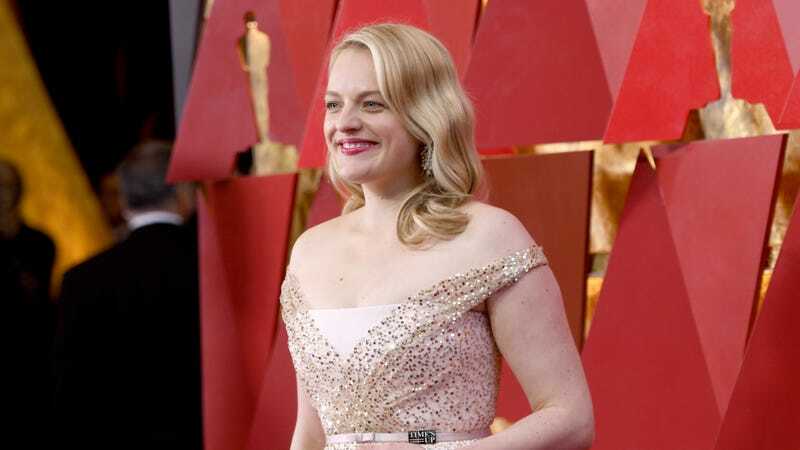 According to The Hollywood Reporter, Elisabeth Moss has joined Melissa McCarthy and Tiffany Haddish in New Line’s comic book adaptation The Kitchen. As we previously reported, the movie is about the Mafia-controlled underworld of New York’s Hell’s Kitchen neighborhood in the ‘70s, focusing on three women who take over their husbands’ criminal operation after the men get caught by the FBI. Despite McCarthy and Haddish leading the cast, though, the movie will reportedly be a gritty, serious drama and not another installment in McCarthy’s series of wacky crime movies. Also, despite being a comic book adaptation set in Hell’s Kitchen, Daredevil probably won’t make an appearance since the original book was published by DC’s Vertigo imprint and not Marvel. Moss’ character will be the “timid wife of an abusive husband,” but after he gets put away, she “falls in love with the violence of her new life.” The Kitchen will be the directorial debut of Straight Outta Compton co-writer Andrea Berloff, who also wrote the screenplay.